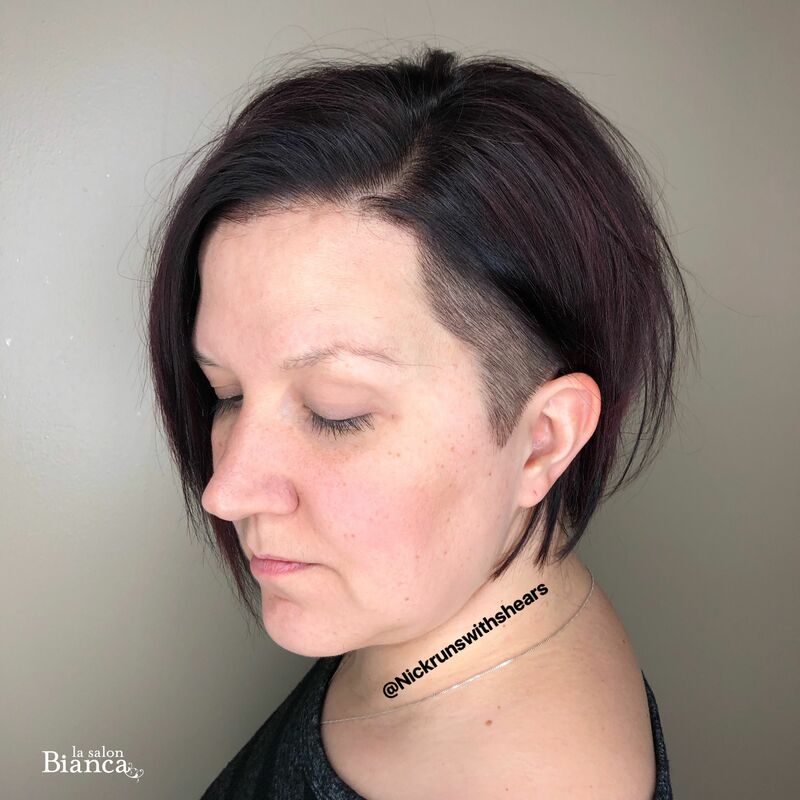 Master Stylist Nick nailed this edgy bob and color on his client! She wanted something that showed off her fabulous personality while also able to keep professional for work! when the hair is down she's ready for the office, tuck it back and BAM! Great job Nick!